The thoughts tumble around in my head. So many thoughts, on various things, both serious and trite. But the words are hard to come. Words mean a lot. Especially the written (or typed) word. In the last year, thanks to blogging and facebook and twitter, I have come to value the written word and understand the importance of your words. It's easy to forget that there is an audience, whether big or small. On Facebook, there is no way of tracking who reads your status updates or wall posts by friends. And a lot is revealed in those words. I'm careful to not be nonchalant about my words. I know who my potential audience is (especially on Facebook and Twitter) and I strive to strike a balance of honesty with wisdom. If I'm in conflict with a friend, family member or co-worker, social media probably is not the place to vent or share my angry or frustrated words. But if I'm having a bad day, if I'm sad or deliriously happy--I love to share those moments. Or the funny things my kids do or say, or the overflow of my heart at that moment. I enjoy reading those pieces of others lives, and so I share my own. I'm a very relational person and I count many as my good friends and have kept in touch with friends from childhood. Facebook has helped feed this part of my life! But lately, the words tumble around, and I just can't choose which ones to articulate. There are a lot of sad words. We honored the life of my friend Eddie on Saturday. An extremely hard day, bittersweet as it brought together friends of old. It's still such a fresh wound. Not only does his loss affect me, but it has a profound effect on my husband, my brother-in-law, and other dear friends. We are a big extended family who has lost one of our own. I've reflected on the past year, and am looking ahead to new things in 2010. I have some things I hope to work on and change about myself, our finances, how our family runs etc. But I guess I'm just not ready to commit them to the screen. We had a wonderful Christmas and there are fun photos to share. Funny stories of the past week as we spent time together as a family--our first "vacation" since both Bean and I were off for Lily's birth. God is doing a lot of work in me. The last half of 2009 brought some great spiritual revelations to my life and heart. I'm looking forward to more of that in 2010. I wrote in my journal tonight, "I want to be a better me. A better wife and mother, a better pastor, friend and follower of Christ." Our church is preparing to embark upon a Daniel fast next week. I'm very excited about it--for my own life and our church as a whole. I fasted for a long period of time in college and it was one of the greatest experiences of my life. I don't want this blog to become a dreary place. I am finding solace in the Lord, in His Word, and also the new David Crowder album. I am trying to focus on rejoicing that Eddie is loving his new life in heaven. But yet my heart remains so heavy for his family and close friends. My brother-in-law said some wise words on Saturday to a few of us. He listed off the stages of grief, and then he said--"yeah, but it's not like that when you have God." Certainly you are angry, but you trust God. You may walk in denial or bargain with God that it didn't have to be this way, but yet you trust that His way is higher than our way. So my words continue to tumble around in my head. Pardon the silence on my blog as of late. When you are reminded of the brevity of life and suddeness of death, you want what you say to matter. I guess that's what it is. I don't want to blog, just to blog. I don't want to put on the happy face, when I'm sad. But I don't want to wallow in grief either. So, I will figure this out. And I know it will change me, and perhaps even my piddly little blog for the better. Hopefully this is first in the process of becoming a better me. I'm so sorry for the grief you've been feeling lately. Just be yourself; we all love you just as you are, however you are feeling. This is a good place to let it all out. You are among friends, and we are praying for you. Corrina- I only have a few words to say to you.... first, you are AMAZING and a real INSPIRATION. bravo. one of your best posts yet. God Bless You. I love the honesty of your posts. I love that you are real and if your blog needs to be sad for awhile let it be. One of the greatest things about your blog is that you are authenic, honest and truthful about what life is thrwoing at you. 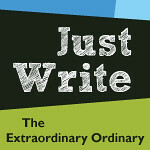 You are one of my favorit blogs to read because you can articulate all your thoughts so well through writing.